The Soi Buakhao Market is a popular place to shop in Pattaya with Thai’s, expats, and tourists. If you are looking for cheap prices and a big selection, this is the place to visit. It is located at the junction of Soi Buakhao and South Pattaya Road. The usually vacant large dirt lot becomes a small city built from giant tents and is hard to miss. This Thai street market is similar to a flea market you might find back home, with small individual stands setup inside the tents selling just about anything you can think of. You’ll find clothing, various household goods, souvenirs, electronics and cell phone accessories, fresh fruit, and plenty of stalls selling all kinds of Thai food. The Soi Buahao market is a favorite of the local Thai’s for inexpensive clothing and various nick knacks. Even if you are not looking to buy anything immediately, it is an interesting place to visit and have a look around the labyrinth of shops. Most (if not all) of the name brand clothing you’ll find here is going to be knock-offs so you can expect cheap prices – and quality will be about what you’d expect. Name brand t-shirts sell for around 200 THB, and as they say, you get what you pay for. You’ll see all sorts of odd one-off items for sale, often times on the same table. 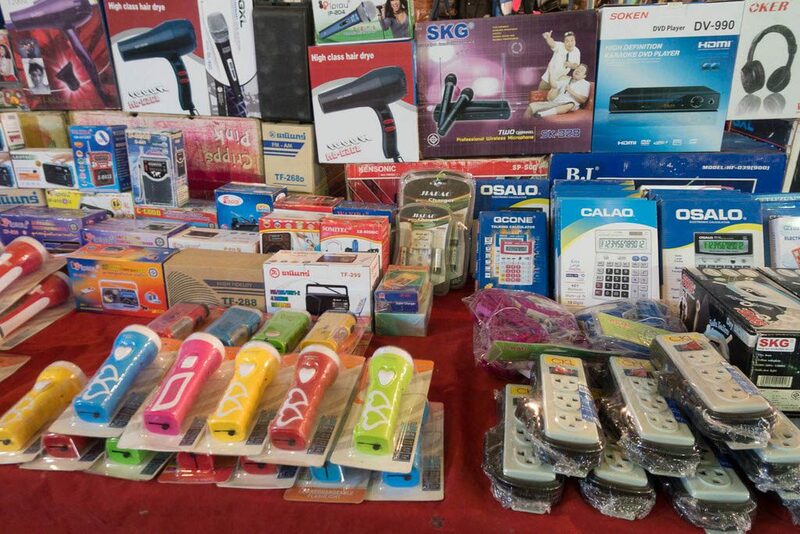 Here you can see one table selling calculators, flash lights, hair dryers, and wireless microphones. The latter I’m assuming is the big seller for the home karaoke crowd. 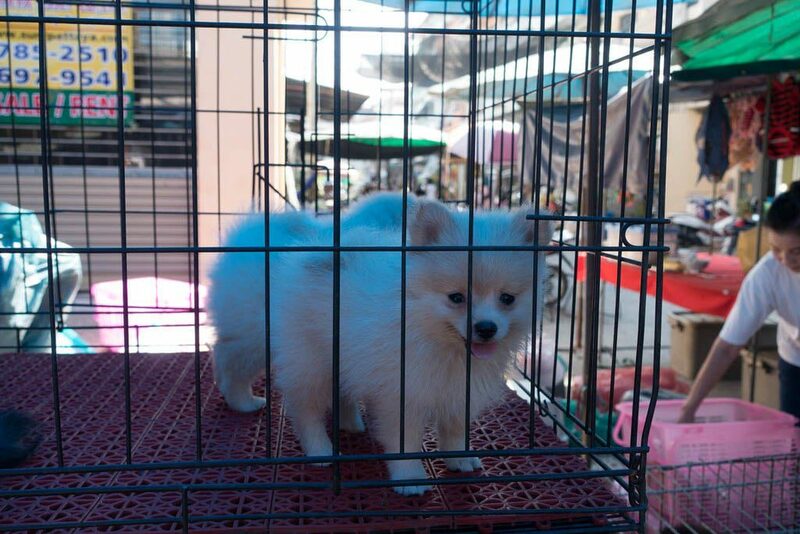 There was even one group selling pets on the far side of the market, there were about a half dozen small dogs stacked in cages. Super cute, but I couldn’t help but feel sorry for them. In between the various shops, you’ll find areas setup offering a variety of services. You’ll see people getting their eyebrows plucked with dental floss (at least that’s what it looked like to me) or sitting getting makeup applied. If you like good authentic Thai Food the Soi Buakhao Market has a great selection to choose from, and the prices are cheap. 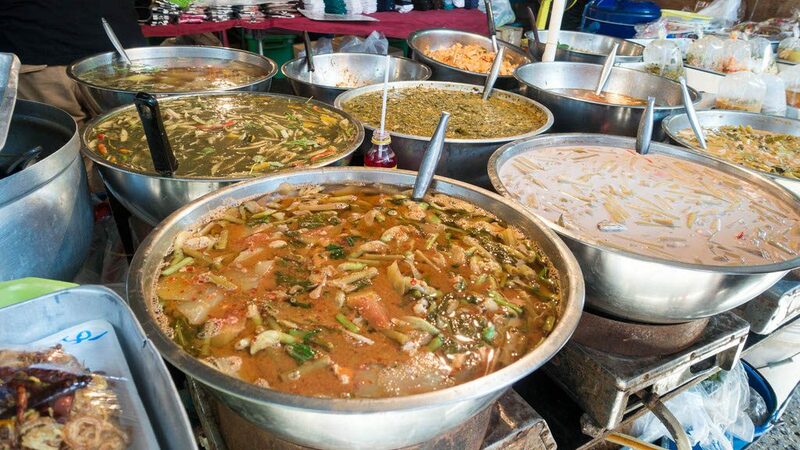 There are a number of stalls that line the outside area of the tents with big bowls of ready to serve curry, rice, soups, and a variety of other Thai food I’m not familiar with. 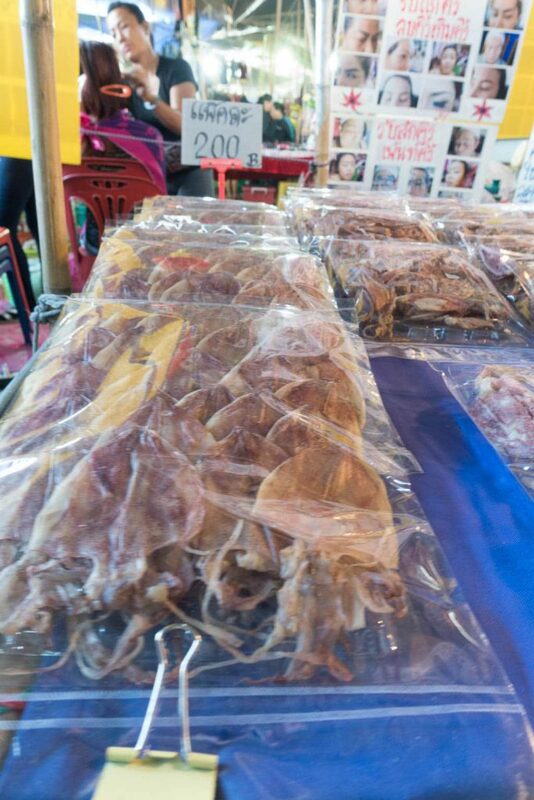 If you have a craving and need a giant bag of dried squid, you’ll find it here. A few of the stands are selling a selection of fresh fruits and vegetables as well. There is even an area with potted plants and things for your garden. The market really does seem to have a little bit of everything. 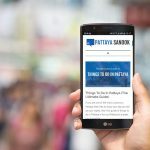 The Soi Buakhao Market is popular and can be a little crowded at times, the stands are setup close together and paths can be congested so it’s a good idea to bring your patience as well as your wallet and taste buds. Even though the area is covered in shade from the tents, it can get quite hot in there when the heat is sweltering. If people watching is your thing, there are several bars and a coffee shop that line the outside of the market on two sides. They can be a great place to stop and have a cold drink and enjoy the parade of people walking about doing their shopping. Baht Bus traffic can get backed up on Soi Buakhao, slowing transport to a crawl. But other times it is clear as day without a vehicle in sight. It could just be the crazy traffic patterns in Pattaya, you never quite know what the roads will be like. If you are riding a motorbike, there is a covered parking area where they’ll hold onto your bike for 10 baht. It is a handy place to park near the market. Whether you are looking for some cheap souvenirs to take home or some inexpensive clothing or accessories, Soi Buakhao Market is a great place to do a little shopping. 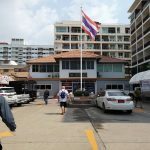 It is going to have some of the cheapest prices in Pattaya and if you are good at negotiating you might be able to get an even better deal. 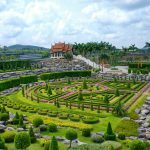 It is well worth a look when you are in Pattaya. Location: On Soi Buakhao near the junction with South Pattaya Road. So the market only open from Tuesday till Friday? What time do the market open?